For over 30 years SIS have been a trusted partner to retail operators globally. Since 1987 we have been successfully supplying data and pictures to drive profitable betting. Our exclusive horse and greyhound content includes some of the most engaging betting content that will excite your customers. We can supply retail operators with a range of betting channels, bespoke branded channels, data, pricing and data visualisation services. Our new 24/7 Live Betting Channels provide operators with profitable short-form content throughout the day with a betting event every 3 minutes. We can provide operators with an end-to-end solution which includes live streamed pictures, data, on-screen graphics with betting triggers, prices and derivatives. Premium exclusive live UK & Irish horse racing will be available, with international horse racing from Australia, Dubai, Latin America, Mauritius, and Korea, as well as UK & Irish greyhound racing all interspersed with quality virtual racing. The channel is customisable and can be branded to accommodate individual partner logos, time zones and languages for on-screen graphics. We provide betting operators with the most comprehensive range of markets and pricing for horse and greyhound racing. Our prices cover the entire betting lifecycle of a race. Our Trading Services can complement existing trading resource or offer a fully outsourced pricing solution. Our specialist team has developed industry leading algorithms to analyse racing data and assist our trading team to deliver high quality real-time prices. Sandra McWilliams, Sales Director at SIS, spoke to European Gaming about the development of our 24/7 Live Betting Channels as SIS look to 2019, to drive further progress. European Gaming: What was the motivation behind your recently released 24/7 Live Betting Channels? Sandra McWilliams (SM): Consumers are so used to having everything on demand due to recent technological advances – such as streaming a box set on demand, and accessing millions of songs at the click of a button. An unmistakable market trend is that consumers value being able to access their preferred form of content on their own terms. More specifically, within the betting & gaming market, bettors shouldn’t have to wait for their next engagement opportunity, and now, bettors can access betting on racing opportunities every three minutes, with the launch of our new 24/7 Live Betting Channels. Our 24/7 Live Betting Channels provide bettors with regular betting opportunities throughout the day, across all time zones, at times that suit them. It is important that there is quality content in all time slots to engage bettors around the world. European Gaming: To what do you attribute this scaling demand? SM: I think the demand has always been there, it’s just been a question of knowing how to service it effectively. 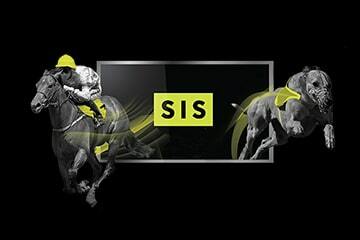 Especially when it comes to serving a global network of partners, which goes to the heart of SIS’s status as a truly worldwide supplier of betting content. Trite as it may sound, content remains king. You’ve just got to understand how best to package it, so that every operator gets something that’s really relevant for them, wherever they are on the map. European Gaming: Do you think the needs of the bettor have changed? SM: I expect they haven’t. I think our innate tastes and desires largely stay the same. The difference is the ability to deliver what the customer wants– and that’s a combination of technology, allied to the distribution model. Up until the mid-2000’s it was commonplace for consumers to have to wait each week to watch an episode of their favourite programmes but now with the proliferation of streaming services we can binge watch an entire series on demand. Consumers have wanted the ability to watch their desired programmes at times that suited them but both technology and the distribution models prevented them from doing so, until now. The same is true in the betting industry, bettors have always wanted to see the content they are betting on but it hasn’t always been possible until now. European Gaming: How are you able to fill the channels with content that cover all hours of the day? SM: We’ve made a concerted effort to boost our racing portfolio, adding quality live racing from racecourses across the globe. Last month we announced a partnership with Tote Media to distribute live pictures from the Latin American Racing Channel’s (LARC) meetings. The agreement expanded SIS’s Latin American horse racing suite to over 4,500 races per year, with racing from Chile, Argentina, Brazil, and Peru. It also showcases some of the elite racecourses in the region, such as Hipódromo Argentino de Palermo, Hipódromo Chile, Club Hipico Santiago, San Isidro, Monterrico and Gavea. These rights acquisitions follow similar distribution deals with Kranji Racecourse in Singapore, and the Melbourne Racing Club and Thoroughbred Racing South in Australia (in association with RMG) to further bolster a truly international portfolio of premium horse racing. European Gaming: Explain the format on offer across these live channels? SM: We can provide these channels as an end-to-end solution to both online and retail operators, featuring live streamed pictures, data, on-screen graphics with betting prompts and an extensive range of markets and prices. These new channels are delivered in a ‘Watch and Bet’ format and provide attractive and profitable short-form content throughout the day, with a betting event every 3 minutes. To maintain quality events at all hours of the day, it features exclusive, world-class live UK & Irish horse racing, with international horse racing from Dubai, Latin America, Mauritius, and South Korea, as well as UK & Irish greyhound racing. In addition, these events are interwoven with market leading virtual horse and greyhound races to maintain engagement levels. European Gaming: Do these channels allow for customisation at all? SM: Absolutely, there’s an option for operators to customise the channels in order to brand them to their specific requirements. This ensures that operators can adjust the product to meet their own individual needs. We can accommodate bespoke partner logos, time zones and languages for commentaries, plus on-screen graphics and betting triggers. European Gaming: Are there any major operator deals in the works as we start the build up to ICE 2019? SM: I’m happy to report that we have a number of tier-one operators already lined up to take our 24/7 Live Betting Channels. Naturally, we plan to add to that pipeline between now and ICE in February. As the leading supplier of 24/7 racing, we hope that our stand at ICE will prove the first port of call for operators looking to provide their customers with frequent betting opportunities.